Did you know that 53% of buyers are more likely to look at a listing if a floor plan is included? And that 80% of buyers consider floor plans to be absolutely essential when viewing a property online? RTV is proud to offer MagicPlan, currently available free of charge in the Apple Store. This exciting app allows you to create a floor plan on any iPhone, iPad, or iPod by simply turning around the room. RTV has partnered with www.sensopia.com, the creators of this exciting new technology. MagicPlan is the first iPhone “Scan & Plan” floor plan solution that uses a camera and augmented reality to create a highly accurate floor plan of an entire property in just minutes. For the property marketer and virtual tour provider who wants to create and integrate accurate floor plans on the fly, this tool is a huge time-saver. Using MagicPlan is as simple as taking a picture with your phone or iPad! Hold up your device and simply turn around the room. When your plan is finished just press the “Send to RTV” button. Your floor plan will be instantly available in your Fusion virtual tour management system. 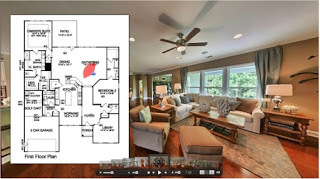 Unlock the plan for a mere $2.25, and within seconds you can start integrating your interactive floor plan into your 360 virtual tour, complete with hot spots and directional radar. We’re very pleased to inform everyone that we’ve just gone live with our new Interactive Floor Plan system! We have created an all new system utilizing an amazing space planner technology! This technology leapfrogs the floor plan technology of the competitors with its unique ability to add photos, panoramas, AND move furniture around!! You’re now able to create unlimited floor plans and link them directly to your virtual tours. We’re also very happy to announce, by popular demand, we’ve brought back our Sketch & Fax service. For those of you that would like to hear about this system in detail you’re more than welcome to join us Tuesday, November 3rd at 7:00pm Eastern, while Jason LaVanture and Guest Speaker Steve Street from Icovia discuss the many “bells and whistles” built into the new Floor Plan system. Sign up now and start practicing so you can be ready for this event! When we think in terms of real estate virtual tours the first thought is probably a residential homes. However, there is a huge market out there in the commercial sector as well. Whether it be an existing building or a planned development, there are numerous opportunities for a provider to create virtual tours or 3D floorplans in commercial real estate. 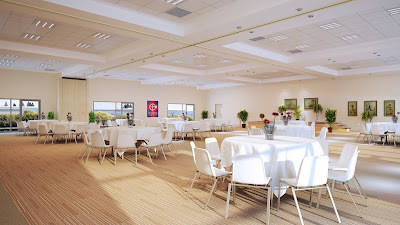 One of the most important selling points you can make to a potential client is letting them know that you will be using LoopNet.com as your major marketing site to showcase the 360 virtual tour online. For those of you who are not familiar with LoopNet.com, it is the key site to market on for commercial real estate for sale as Realtor.com is for the residential sector. You can set up a free account on the site just like you would on any other free site that you market your business or properties on like Postlets.com, Craigslist or Kijiji.com. It is imperative that you mention this to a prospect and that they understand the way their property is going to be advertised across the Web. In doing this you are almost guaranteed to secure more bids on commercial real estate virtual tours. Yes, these type of virtual tours are totally different from any kind of residential tour you may be doing, but aren’t all homes different as well? Get online and see how other providers are portraying these properties in their tours. Be creative and look at it from a buyer’s point of view…what would you want to see and how would you want it presented? This is just another market that RTV providers have out there that can help add to your pocketbook and portfolio. Don’t be afraid to venture into new fields. There are thousands of these types of properties for sale. All you need to do is promote your services to the seller in the proper way to get the deal. Since e-toursonline Interactive Media Solutions started making 360 virtual tours with Real Tour Vision software, I have realized how addicted I have become to interactive media and how powerful it is on your senses when searching for a product or service. When you search the competition to see what they are using and, in most cases, what they are not using, it is real easy to come to the conclusion that most of these “other guys” are missing the real point of what consumers need. Interaction! Powerful forms of rich media content will retain your visitors much longer, thus giving them the ability to retain more of the presentation put in front of them. Essentially what this amounts to is that a visitor that experiences an impressive presentation with lots of interaction is more likely to recall your products and services over all the other competition. Through the power of Real Tour Vision, e-toursonline Interactive Media Solutions, a virtual tour company in Sarasota, Florida, is able to provide its clients with the most comprehensive interactive media solutions available. Our 360 virtual tours are packed with more interaction than any other virtual tour product on the market. By combining several types of technologies, e-toursonline Interactive Media Solutions is able to capture the senses of our client’s visitors the second they click on our 360 virtual tours. If you are still stuck on stills and simple forms of media, you are missing the technology boat. Marketing your products and services on the internet is not an easy task. But e-toursonline Interactive Media Solutions has made it simple. You can choose from a variety of high quality products and services without burning a whole in your pocket book. Some of the great products that we offer are 360 virtual tours, virtual tour audio solutions, interactive 2D/3D floor plans, PanoRider sign hangers, single property websites and interactive business card CD-Rom. When it comes to marketing your business online, keep in mind that not everyone has the consumer in mind. As leaders in 360 virtual tour technology, Real Tour Vision has allowed e-toursonline Interactive Media Solutions to utilize the best technologies at a fraction of traditional marketing. In turn, we are putting more punch in their online campaigns without the worries of spending thousands on fruitless efforts.